We often see failing grades as a symptom of a bigger problem and it is. But it is more than that. 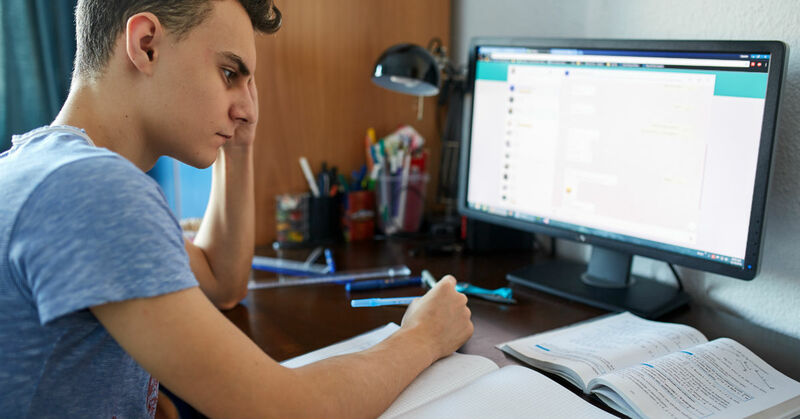 For your teen, bad academic performance begins with wider problems and creates significant stress and anxiety. That continues the feedback loop and exacerbates the problems they were having to begin with. Then there are the other implications that come along with that struggle. They may find themselves at odds with you or with school administration. Their once flourishing hobbies or extracurriculars could be under threat. A whole host of new problems may be weighing them down. What can be done? Therapeutic boarding schools may be one option worth looking into. This is a private institution that is part school, part therapeutic environment. They use a balanced approach between tutoring your child to get them back up to speed with their peers and with an intensive therapy program to get to the root cause of their problems. Smaller class sizes, one on one attention and customized learning plans make this an ideal solution for teenagers who have been falling behind or even flunking out. All staff are professionally trained to work with troubled youth to help them overcome their issues and cope with their emotional difficulties. Can My Child Regain School Credit? Yes! Academic progress is a primary concern for the staff at a therapeutic boarding school. These institutions are fully accredited and monitored by the US Board of Education. All time spent at a therapeutic boarding school goes towards the credits a child needs to eventually graduate. In many cases, this also means recovering lost credits due to truancy, failing grades or learning disabilities. With a customized program provided to each student, they will be able to create the syllabus they need to get back to where they need to be. They may even come out ahead of the pack! What Other Benefits Does a Therapeutic Boarding School provide? A therapeutic boarding school gives your child the opportunity to connect with peers who are also struggling with the same problems they are. These may be substance abuse, mental illness, trauma, learning disabilities and a number of other issues that could be impeding their ability to continue in a traditional educational environment. At the same time, they will learn as a group how to control intense emotions, address how they are feeling and develop strategies for moving forward. It is a fantastic service that has helped many families overcome obstacles.